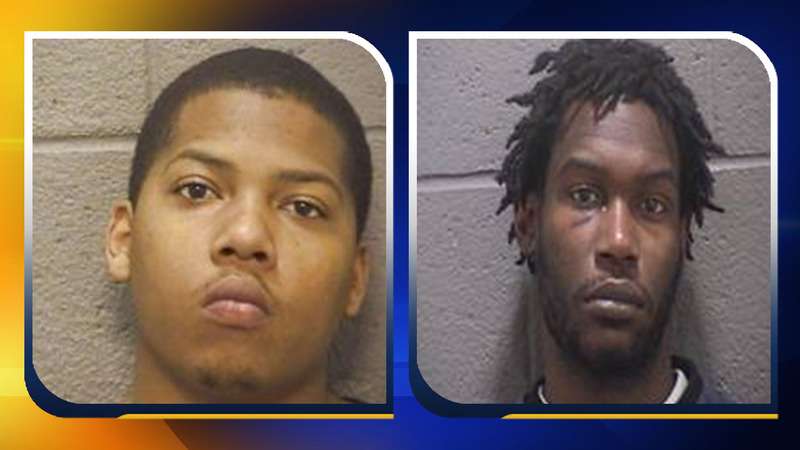 DURHAM, North Carolina (WTVD) -- Two men have been charged in connection with a shooting earlier Wednesday on Laymans Chapel Road in northern Durham. The incident happened shortly after 10 a.m. in the 4500 block of Laymans Chapel Road, near Roxboro Road. It happened shortly after 10 a.m. in the 4500 block of Laymans Chapel Road, near Roxboro Road. Durham Police have charged the two men - Kenneth Atwater, 24, of Pommel Lane and Saquawn Williams, 24, of Potter Street - with attempted first-degree murder, assault with a deadly weapon with intent to kill inflicting serious injury, felony breaking and entering and felony conspiracy. Atwater was treated at Duke Regional Hospital for his injuries and released. He has been taken to the Durham County Jail. Williams was transferred to Duke University Hospital, where he remains hospitalized. The resident of the home was taken to Duke University Hospital for treatment of serious injuries. Anyone with additional information on this case is asked to call Investigator K. Owens at (919) 560-4440, ext. 29365 or CrimeStoppers at (919) 683-1200. CrimeStoppers pays cash rewards for information leading to arrests in felony cases and callers never have to identify themselves.